A bit of Me time…. Over the last couple of weeks I have ventured out to see a couple of demos. 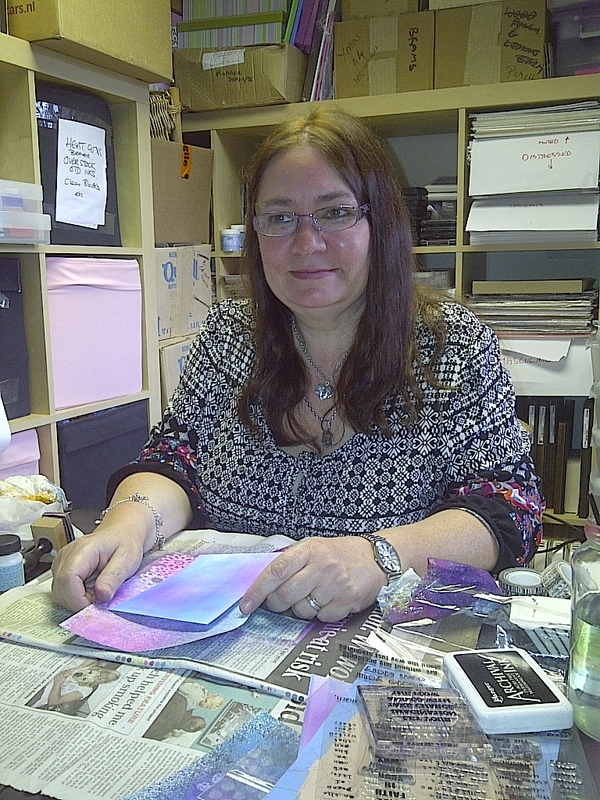 Lindsey Mason was at Card-io (see link to left) on Saturday with her new range of stamps. Really good demo and a lot of tips. She used distress pens and glue and seal to cover her drawings and colouring in. It is a seal that you can paint over your drawings, ink over the top then rub the ink off over your drawing and the ink comes off where you have put the glue and seal. Really, really useful, so I bought some, some of the stamp range, and the new dylusions ink sprays with masks. I’m loving them all!! Wish I could afford the whole set of inks. A few weeks ago was a demo at Stampers Gallery, Tarleton (see link to left). 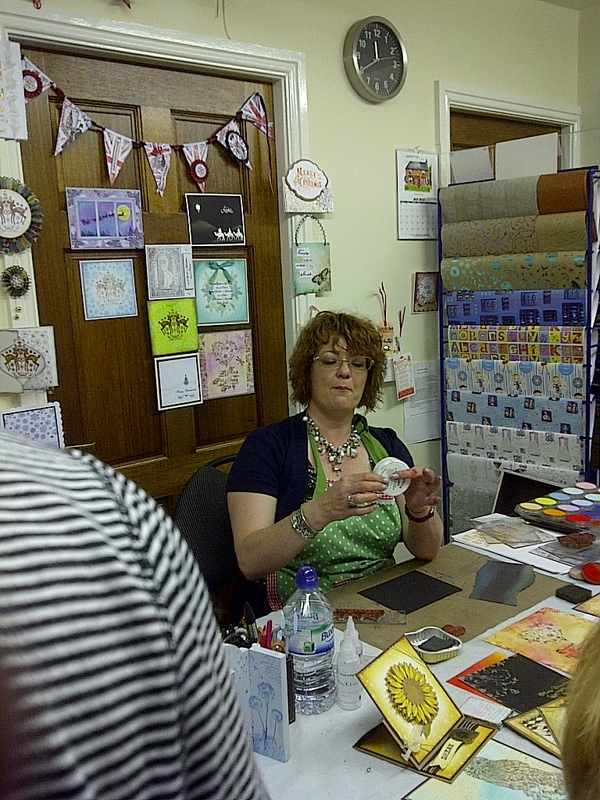 Sue the owner was demonstrating gel pens, embossing and peel offs, while Kay from Indigo Blu was demoing her range. Both were filled with tips and techniques. Great meeting everyone. Don’t forget my next demo is at Card-io on 11th August. 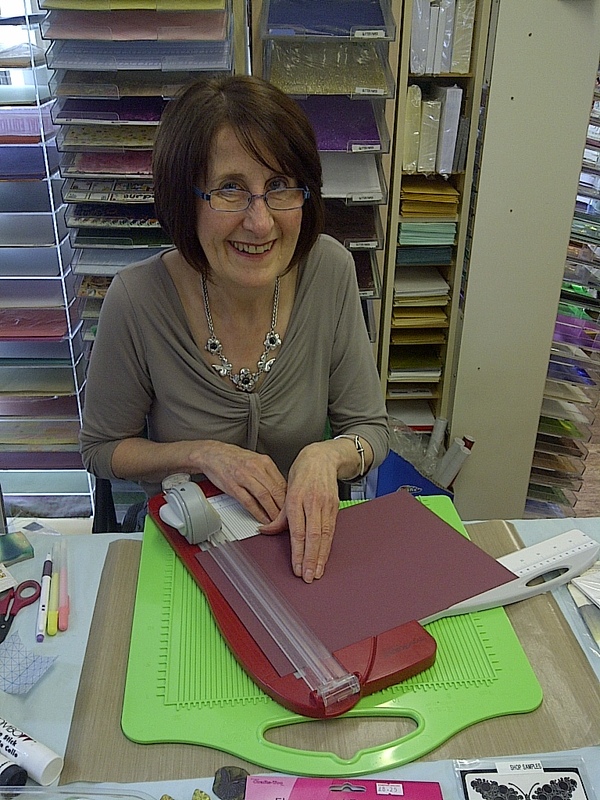 Love to meet you, come a long for a peek at making your embossing better and a natter.